December 14, 2013 in Evolution, Philosophy, Religion. December 2, 2013 in Enlightenment, Existentialism, Philosophy, the human condition. October 26, 2010 in Fundamentalist, Meaning, Religion, Skepticism. October 22, 2010 in Enlightenment, Philosophy, Poetry, the human condition. 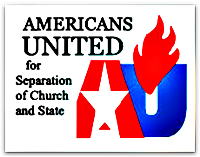 October 22, 2010 in Atheism, Politics, Religion, separation of church and state. June 18, 2010 in justice, News, Religion, the human condition.